In the great pantheon of rock music, Rush sits in an awkward place. Since the band’s formation (in its modern line-up) in 1974, it was always regarded by some as slightly suspect. Its first, eponymous album was a fine thing, but damned by critics as being too derivative of Led Zeppelin. The band was pilloried for its pretentious, rather fantastical lyrics, at a time when others like Yes were more guilty of the charge. Then, when the three boys from Ontario switched to a more commercial sound and embraced synthesisers in the early eighties, they were inevitably accused of selling out. Finally, by 1980 and the release of Permanent Waves, the band was finding its way. The mysticism had gone and in its place, songwriter and drummer Neil Peart had started writing more direct, confessional songs which chimed with alienated adolescent boys. At the same time, progressive rock had faded out and Rush found themselves associated with the burgeoning heavy metal scene, so ably espoused by Sounds in the UK. Whilst effete, fey, foppish types would be reading about synthesiser bands in the NME, Rush became a stalwart of the reaction against chart music, joining the likes of Whitesnake, Rainbow and Gillan. In truth, Neil Peart, Geddy Lee and Alex Lifeson were a far more rarified pleasure. More studio based, they began to embrace a wide range of instruments, bringing about a more textured and multilayered sound. They were all brilliant instrumentalists, with Peart regularly lauded as the best drummer of the time. His contribution to the Rush sound was immense, giving a breathtakingly powerful and propulsive feel to the songs, and bringing complexity and subtlety too. Geddy Lee’s falsetto vocals were often mocked, but he has a great rock voice which counterpointed brilliantly with his rock-solid bass guitar playing, and on the later albums, some deft keyboard playing too. Alex Lifeson provided the note-perfect lead guitar work. Released in February 1981, Moving Pictures is Rush at its peak. The songs are some of the strongest the band ever wrote, many become anthems for the fans – like Red Barchetta and Limelight. Recorded at Le Studio in Quebec, the sound is superb; it has drier and more technical feel compared to earlier LPs but is immaculately recorded and captures the band’s superlative musicianship at its best. The album introduces some nice period synthesiser work courtesy of an Oberheim OB-X, but we don’t see it dominating as it does by the time Signals came out. 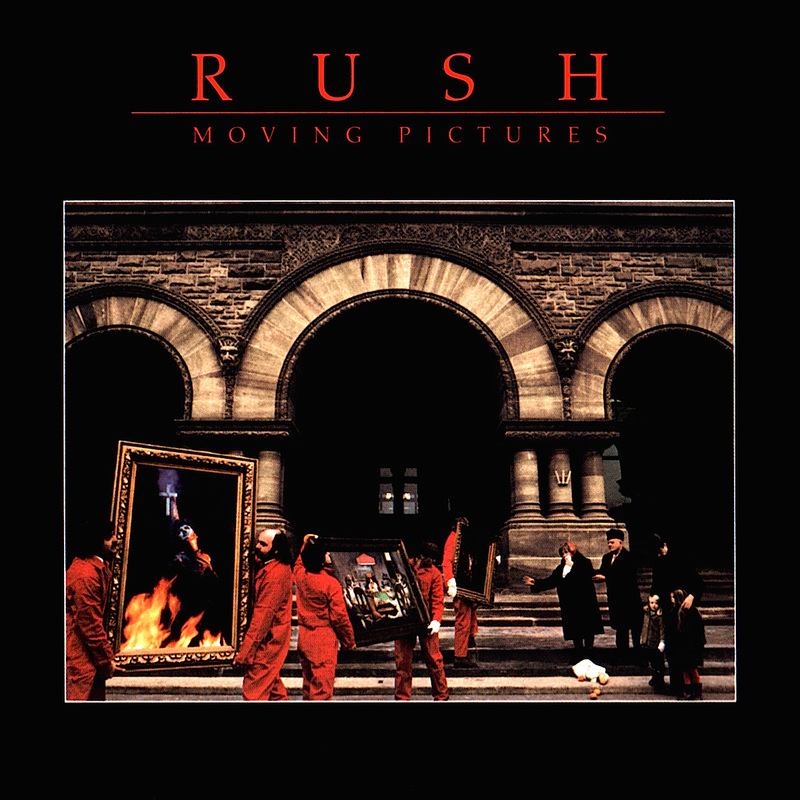 Moving Pictures is arguably the most accessible, most finely crafted Rush album ever made.